Hey guys! I’m in Tokyo!!! I cannot even tell you how much I already love this place, even after only two days.. It is incredible! I understand now how it’s possible that I’ve never heard anything bad about it; it is pristine clean, the people couldn’t possibly be nicer or more helpful, there is SO much to see, and the food is truly outstanding! While I’ve been enjoying the actual Japanese food, I couldn’t come here and not try something called The Great Buger, given what a committed burger lover I am, and especially after Googling them and seeing how perfectly Instagram-ready they are. So, we were in the neighborhood in Harajuku yesterday and figured a burger lunch wouldn’t be a bad idea. We found The Great Burger tucked away off some side streets, and were stoked to find the line was only a few people deep (because in Tokyo, like Melbourne), people line up for ridiculous periods to get good food). This place is open from 11:30am, so our 12:15pm arrival was perfect. Imagine if an American diner went cute and hipster, and that’s what you’ve got here. The menu isn’t all burgers, either, they also looked to do some pretty amazing hot dogs, pastrami sandwiches and other American classics. 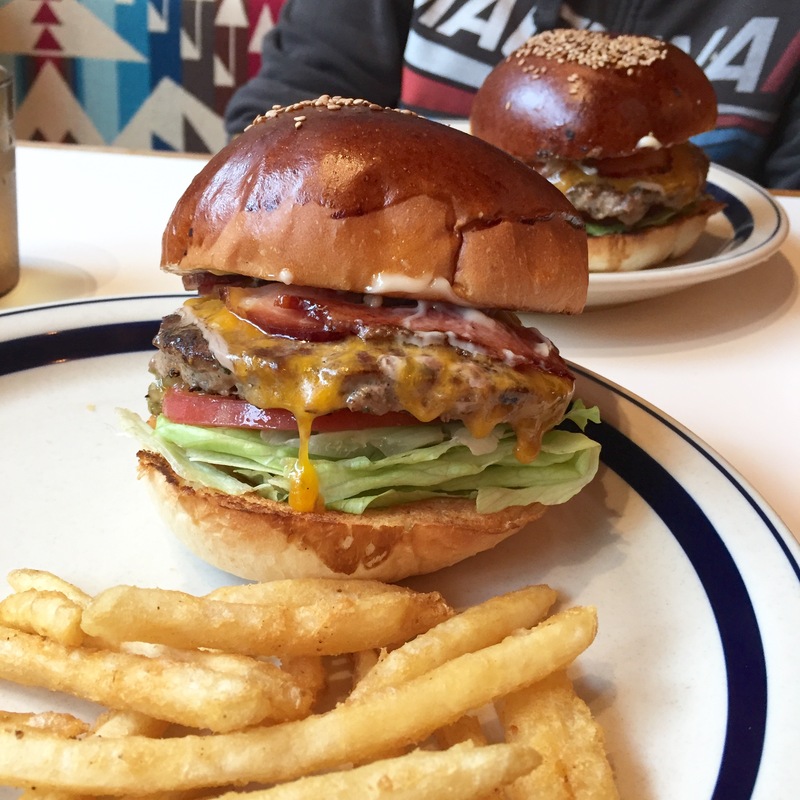 But we were there for a great burger – bacon cheeseburger (1350¥ + tax) with shoestring fries. I’ll go out on a limb and say probably the best shoestrings I’ve had with a burger; every single one was golden and crispy outside, soft and spudly inside. Nice. Burger: wow. Bacon, melty cheese, pickle relish, mayo, mustard, lettuce, tomato, and a perfectly cooked beef patty. It was juicy, a little messy, but everything was in perfect proportion, making it easy to see why it’s at the top of most Tokyo burger lists. Melbourne has a great burger culture right now, and I’d confidently say this one would comfortably stand up against most of ours! If you’re a burger head visiting Tokyo, better put this one on the list!! looks delicious! Thank you for your report!